Swallows have used the archway above our front door for the past few years. A swallow couple shows up, cleans out the nest, makes the edges a little taller, and raises a brood or two during the summer. 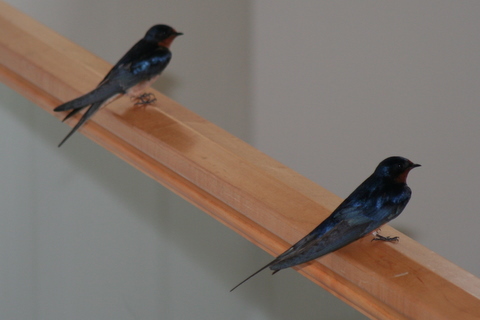 Here are a few earlier posts on our swallow friends. Earlier this spring, before the swallows appeared, the nest fell. We wondered what the swallows would do. No need to worry. They came back and rebuilt their nest in three days. This morning I discovered the new nest on the front mat and the swallow couple flying around. 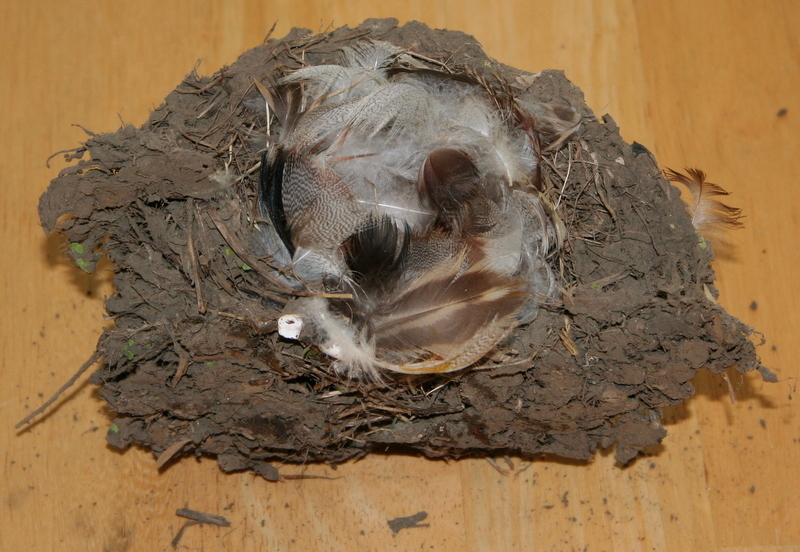 The nest (shown to the left), is amazingly light even though it looks like dried mud. I don’t know why the nest has fallen twice in about as many months. I cleaned the brickwork, hoping that might help a new nest stick better. 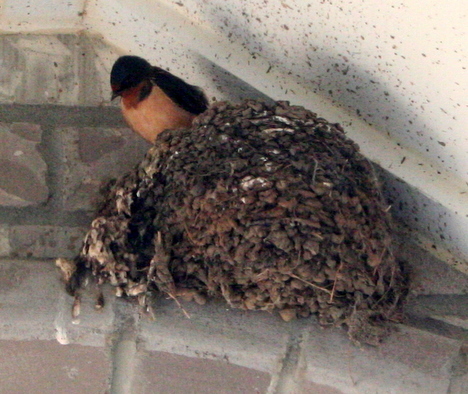 Hours later, the swallows have started building a new nest. I hope they have better luck this time. Next Next post: MPG or GPM?